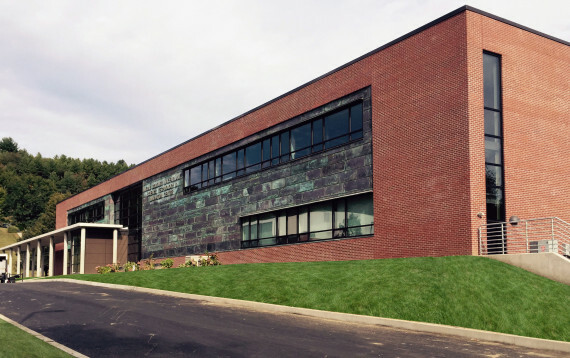 This new STEM (Science Technology Engineering Math) building in Putney Vermont both enhances and further adapts the Edward Durell Stone 1962 campus plan. 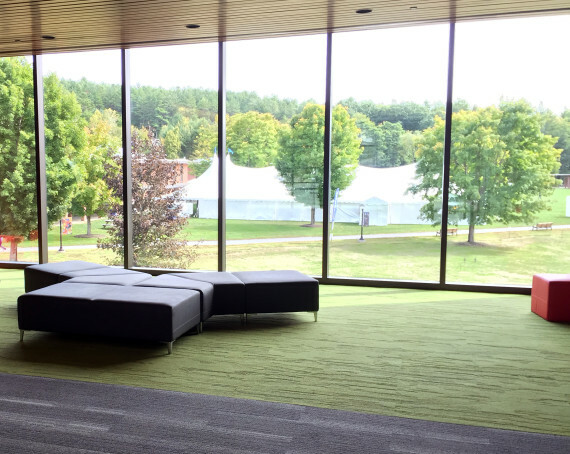 Fradkin & McAlpin Architects, in collaboration with Vermont design-build firm Breadloaf, led Landmark’s team for their first new academic building. 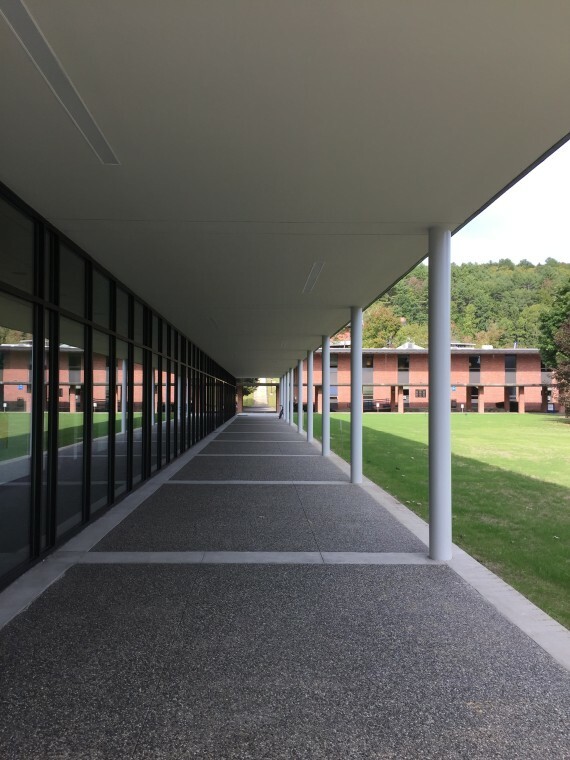 Taking cues from Stone’s mid-century buildings on the quad, such as a colonnade, the overall buildings’ proportions, and extensive use of brick, the design updates the mid-century vernacular to a modern look and feel. Windows reflect interior functions, and the brick, copper, and concrete create a fresh 21st century pallet. 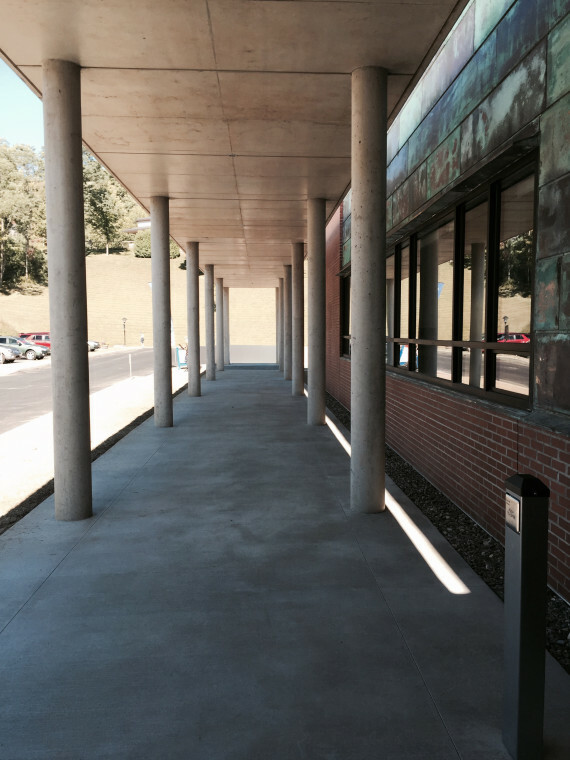 A new concrete colonnade redefines the college’s entrance while continuing Stone’s colonnade. 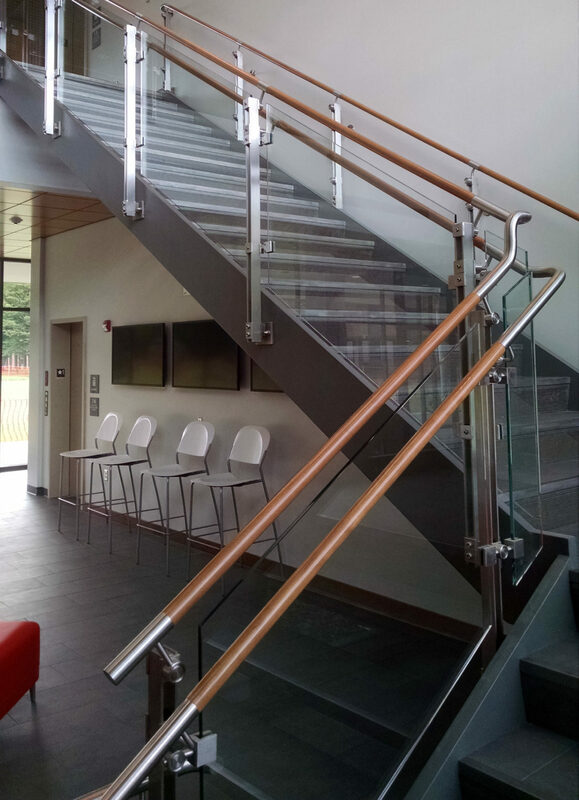 Elements of sustainable and adaptable design such as low VOC finishes, roof top solar panels, an energy saving HVAC system, and state of the art technological infrastructure exemplify forward thinking design. 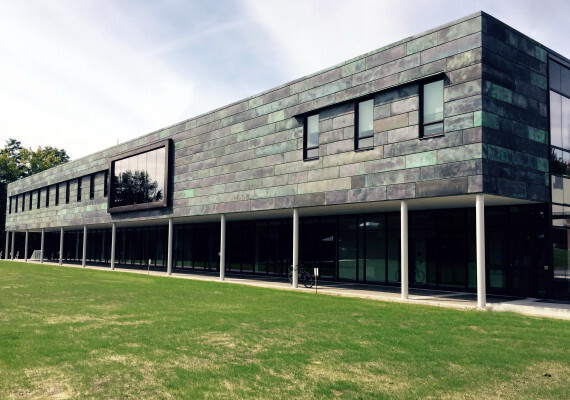 The STEM center both embodies and reflects Landmark’s cutting edge approach to education for those with learning differences. Good design and innovative teaching join to reinforce Landmark’s mission. Overall spatial organization, social spaces, lighting, furniture, and even finishes were chosen with the learning experience as a priority. 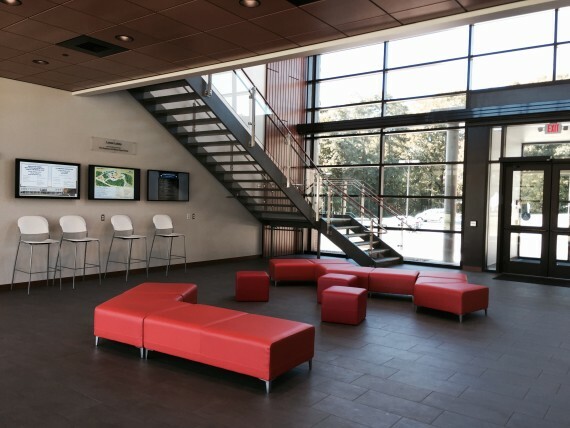 Students and faculty alike are excited and energized by the new building. We are proud of this new addition to the Landmark College campus. It will positively impact students for many years providing a focal point for the 21st century identity of the college.